If you are thinking about summer holidays, which greek island pops in your head? 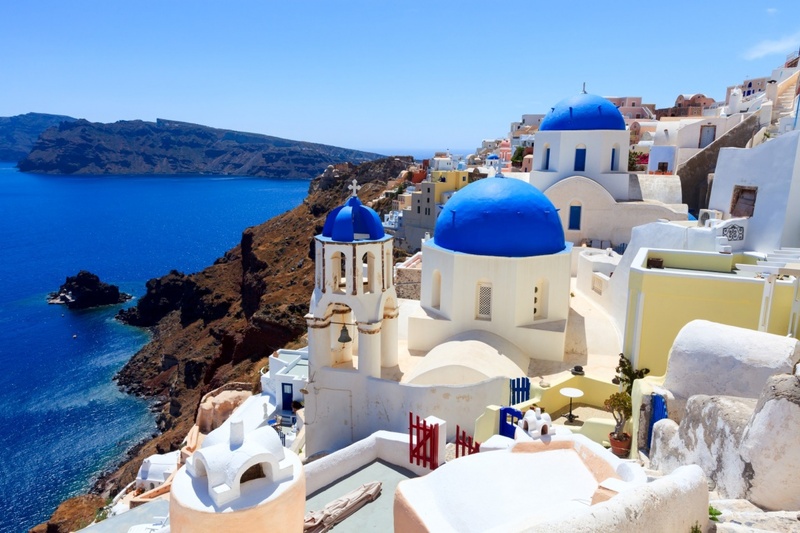 One island’s name manages to stick in your mind and this is with no doubt Santorini! 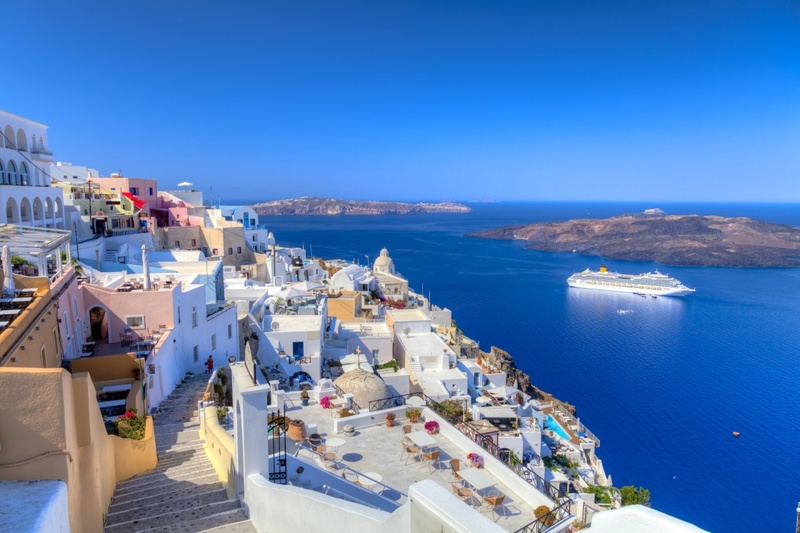 The island of Santorini or Thira belongs to the complex of Cyclades islands, in the southern Aegean Sea and is annually considered to be a top holiday destination for visitors from all over the globe. The island is famous not only for its volcano but also is as it is one of the most graphic Greek islands that offers just about everything to the traveler. Santorini is famous for its volcanoes, which are the most recent ones in Greece and are considered the most active in the whole of Europe. 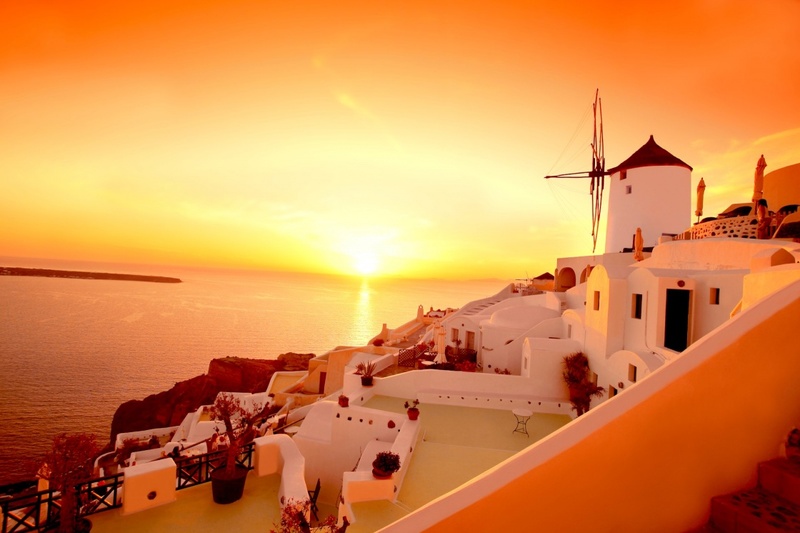 Apart from that, Santorini belongs to the Aegean volcanic arc and is characterized as an active volcano. The Minoan eruption on the island in 1613 BC, resulted in the creation of the Caldera of Santorini and the destruction of the prehistoric culture of the island and gave the island -which had a round form in its first shape- a different form. Today the island is attracting annually a huge number of travelers seeking to see its famous sunset, intriguing volcanoes but also wish to relax at the numerous beaches of the island. This is an island that has everything you can think of: from nightclubs to romantic and traditional cafes and restaurants and with no question this is the island that you have to visit in your life! The climate is humid and really healthy and the soil is ideal for farming which perfectly explains the rich local products that you have to try during your stay. Santorini’s tomatoes and fava will make you ask for more once you try them at the numerous restaurants of the island. The local delicacies like melitinia and croquettes of tomatoes will become your favorite ones while you will enjoy your swim at the famous beaches of the island and life will be really nice on you! Also the island’s top beaches are so exquisite from the red beach with its black and red pebbles, Kamari beach on the southern part of the island, the popular Perissa beach that in the heart of the summer attracts annually a wide variety of tourists form all over the world!What are you waiting for? 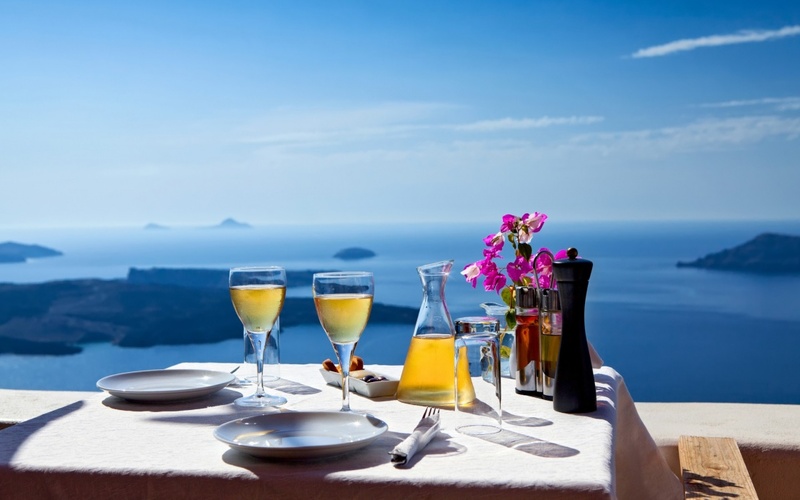 Find information about selected Hotels, apartments and rooms in Santorini and 5 star hotels in Santorini to choose the perfect place for your accommodation.